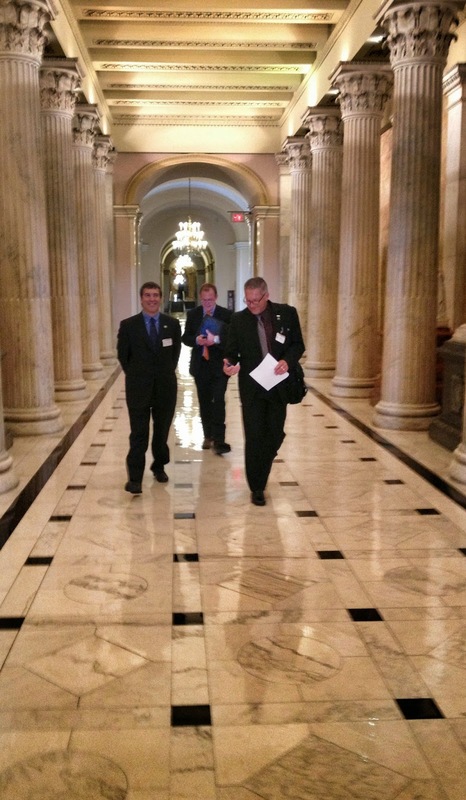 The photonics industry has been particularly busy making new friends in the U.S. Congress during the past several months, energized by the National Photonics Initiative (NPI), an industry-driven campaign to guide photonics research and funding. Immediately following its launch in May by founding sponsors SPIE and OSA and co-sponsors the Laser Institute of America, the IEEE Photonics Society and the American Physical Society, NPI supporters got busy. In early September, members of the five photonics societies leading efforts to promote the NPI were invited to address the Office of Science and Technology Policy (OSTP) Fast Track Action Committee, an interagency committee formed to identify research opportunities and challenges in optics and photonics. In mid-September, nearly 25 individuals representing the NPI flew to Washington to meet with their members of Congress about the importance of photonics in our everyday lives. Participants attended 48 meetings with House and Senate offices, including impromptu member meetings with Sen. Dianne Feinstein and Reps. Scott Peters and Eric Swalwell of California, and Rep. John Larson of Connecticut; and scheduled member meetings with New York’s Slaughter and Rep. Rob Andrews of New Jersey. Post an NPI Supporter Button on your website, social media pages, email signature, or printed materials; include a link in the image to the NPI website. Post about the NPI on your Facebook, LinkedIn, or other social networking pages and add a link to the NPI website, or Tweet about optics and photonics using #NPI and links to the website. 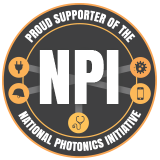 Write an op-ed or letter to the editor to your local newspaper about the NPI and the importance of optics and photonics to the local community. Email NPI@lightourfuture.org for samples and guidance. Become an official NPI Partner, as a Supporter or Collaborator. Invite your members of Congress to attend a photonics-focused event at your company or university or in your district. Take NPI materials to meetings in Washington or locally to educate members of Congress, staffers and agency officials about the initiative and photonics. Email NPI@lightourfuture.org for step-by-step guides, contact information, and materials. The anticipated "Harnessing Light" report from the National Academies will consist of important themes, and educating the population about photonics is key to getting the most from the study's recommendations, says Paul McManamon, past president of SPIE and cochair of the study committee. The study is based on nearly two years of work gathering input from the optics and photonics community. The committee received both public and private testimony at numerous meetings across the United States. The committee focused on not only building on the success of the original 1998 Harnessing Light report in establishing optics as an enabling technology impacting a wide range of disciplines, but also on identifying technological opportunities that have arisen from recent advances in optical science and how to translate progress in photonics innovation into competitiveness advantage, workforce needs, and manufacturing infrastructure. The report is expected to be issued in late summer 2012. In another SPIE video, Erik Svedberg of the National Academies and Larry Goldberg, a report sponsor from NSF, talk about the process of gathering input for the report and the potential outcomes from its release: Harnessing Light 2 report aims to chart course for photonics' future. Committee members (from left) Charles Falco, co-chairs Alan Willner and Paul McManamon, Milton Chang and Erica Fuchs heard comments at SPIE Optics + Photonics. Raising the economic “tide” for the benefit of the entire photonics industry worldwide. Five members of the National Academies’ Harnessing Light committee who came to SPIE Optics + Photonics in San Diego, California, last week collected these and other concerns from community members at a town hall forum on the committee’s report on the photonics industry in the U.S. Led by committee co-chairs Paul McManamon and Alan Willner and attended by committee members Erica Fuchs, Milton Chang, and Charles Falco, meeting participants grappled with many challenges confronting the photonics industry. Not the least of those is quantifying its impact on the national and global economies. A lack of reliable statistics was cited frequently, as well as the need to decide what constitutes an impact, such as when an optical system is incorporated into a product such as a car -- just what is the scope of the photonics industry? Philip Stahl said that emphasizing the potential for jobs in the title of the final report would help get the attention of congressional leaders – a necessary part in the competition for funding. M. J. Soileau agreed, saying that a "well-oiled campaign" is needed, with help from industry, “to make the pitch -- show how they contribute." He expressed concern about getting the attention of politicians, and the mismatch of the political timescale with that of technology-based economic growth. John Greivenkamp, who served on the first committee to create a Harnessing Light report in 1998, pointed out that it's "very hard to sell an enabling technology.” He recommended a brief and easily readable report aimed at policy makers and their staffs who need to understand the importance of the technology but may not have a high level of scientific understanding. SPIE CEO Eugene Arthurs was among those who stressed the urgency of the task. Agree? Disagree? There’s still time to have a say. Comment below, click on this link to take a survey to help inform the committee, or visit the National Academies site to provide feedback to the committee. What’s at stake for your future plans? So why should you care about a National Academies study on optics and photonics? Besides the reality that optics and photonics has changed life for us all and has so much more to offer, the answer depends on what you are doing and hope to do in optics and photonics. Does your future depend on decisions made at the federal, state, or market level (e.g., VCs, banks, or angel investors)? If Congress, forced to find cuts, decided to slash Department of Energy science funding, NASA funding, National Science Foundation funding, or Department of Defense funding, would it affect you? Would new financial or trade regulations hurt your job prospects? Would action on solar energy or advanced lighting speed the transition to a sustainable world? Hardworking individuals at some of the highest federal levels — Congress and the Administration chief among them — are overwhelmed with appeals for support from a plethora of interest groups, including individuals from the photonics sector on occasion. 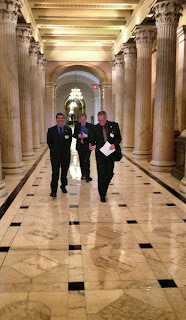 I have been with a variety of groups of scientists and engineers meeting with Congressional representatives and senators, their staff, or the staff of entities such as the House Science, Space and Technology Committee to argue for support for science and technology (S&T) and STEM (science, technology, engineering, and mathematics) education. Even with these efforts, we are regularly chastised for our lack of visibility and activity, and — for some reason —frequently contrasted with the beer industry: The two-million-plus S&T community are less visible in Congressional offices than the 60,000 or so energetic representatives of the nation’s beer distributors. It may be abhorrent to our culture to be the squeaky wheel in political circles (engineers in particular preferring to oil the bearings). But as we look at national belt tightening, it is becoming more important to communicate our value and point out what social economic and security benefits optics and photonics has already brought, and the extraordinary impact to come. Few of us, and fewer in Congress, ever think about the science and technology behind switching on a light. Our smartphones deliver immediate information over the photonics-powered internet on beautiful displays enabled by processors and memory manufactured by laser lithography. But the lack of appreciation of what we optical scientists and engineers have wrought is a topic for another day. The multitasking Congressperson or Congressional aide that I hope you will soon visit already will be thinking about the torrent of interest groups flowing by throughout the day, many with very plausible and well-crafted stories. But how many will be able to make an impact with a National Academies study that backs their story, that makes the case? The Academies were set up to give independent advice to government — a government which is made up mostly of individuals with little scientific background — and helps them see through the clutter of demands and interest groups. This is needed more than ever. National Academies studies help shape policy and help determine funding and investments. Wise use of our more constrained resources is important to us all. Photonics science and technology should be favored, not because we love it, but because the potential for return on investment — social, financial, scientific, medical, and environmental — is quite extraordinary. It is crucial that the study capture the contributions and future of photonics. This is a unique opportunity to help the National Academies committee with this formidable task. This is your opportunity to influence — to invent — your future.